Handicap accessible city buses kneel for passengers who are elderly or have mobility issues. You've probably noticed how the bus lowers (or kneels) one side for accessible boarding, and for wheelchairs, a lift and/or ramp can also be deployed to let the wheelchair user enter and take position in the handicap seating area. When the mobility-limited passenger is safely aboard, the bus rises to its standard height for driving. Accessible buses are a popular transportation solution for many with disabilities, and similar technology is available for wheelchair vans, too. However, kneeling systems can add a few thousand dollars to the price of the van, and they aren't necessary for everyone. As with buses, a kneeling system in a handicap van facilitates entry and exit for people who use wheelchairs. 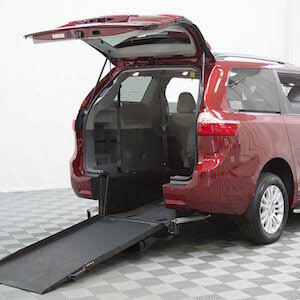 The system, which is available for both rear entry and side entry accessible vans, lowers the suspension of the vehicle toward the ground, which decreases the include of the ramp. On city streets, the kneeled van lines up with the curb. When the incline of the ramp is decreased, less effort is required to enter and exit the vehicle. Those who find kneeling systems most helpful are independent wheelchair drivers with a manual chair that don't have a power pull system or similar to get into the vehicle easily. Combining a kneeling system with your wheelchair van conversion will add thousands of dollars to the final cost when there's a good chance you won't need one. A ramp is really all that's required if you have a mobility scooter, power chair, or a caregiver to navigate the incline. Also of note is the reliability record of handicapped van kneeling systems. Usually operated by an electric actuator (the motor that controls the mechanism), the actuator can overheat and burn out the motor, and, depending on the manufacturer, inefficient gears can quickly wear out. Factor in debris, and you may find the drawbacks of a kneeling system outweigh the benefits. This in itself virtually eliminates the need for a kneeling system by decreasing the ramp's incline outright, making it easier for a power chair, scooter, or caregiver to guide a manual wheelchair up the ramp and into the passenger area of the handicap van. The decreased incline also helps when exiting the accessible minivan, allowing more control of the chair when guiding it down the ramp. When engineers at AMS Vans (a premier conversion company that entered the industry in 1979) designed its newest wheelchair accessible minivan conversion, they took into account the extensive number of kneeling systems in the other manufacturers' adapted vans that the company had repaired over the years and the numerous complaints of a dissatisfied kneeling-system owners who eventually disengaged the kneeling function to avoid one more repair. One particular feature of an AMS Vans conversion is the folding, extended-length wheelchair ramp. This ramp is 4 inches longer, in fact that most other wheelchair accessible van ramps. 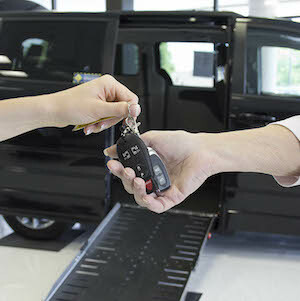 Successful handicap van shopping start with your personal specifications, which will lead to a wheelchair accessible vehicle perfect for your lifestyle. 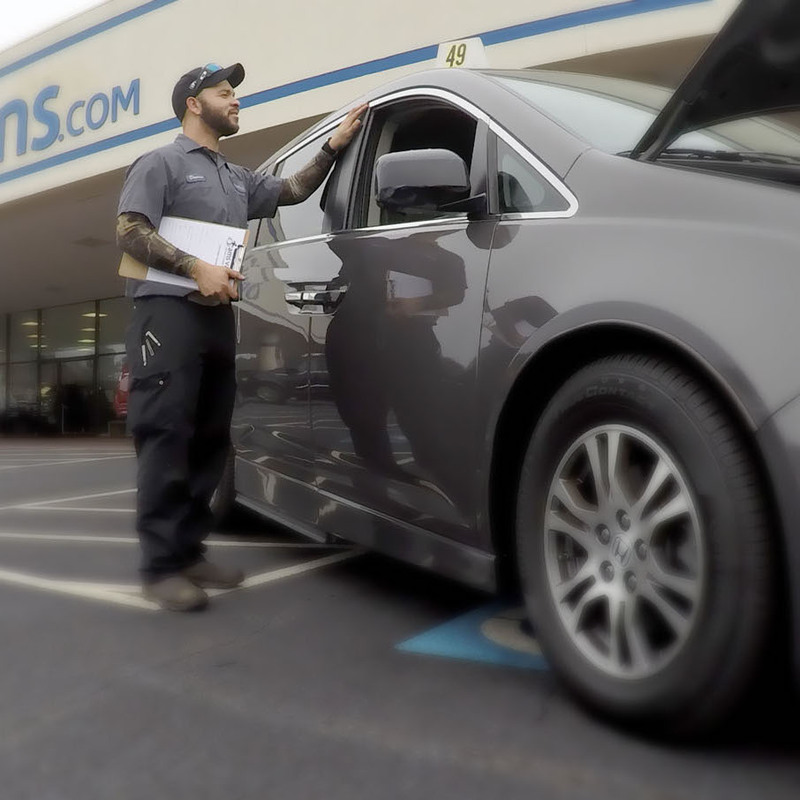 Call AMS Vans today at 888-880-8267 to speak with a trained mobility consultant. 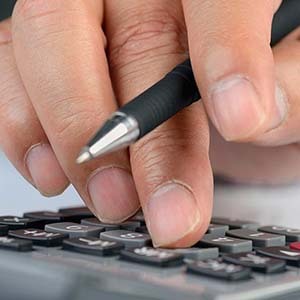 We'll offer honest, expert guidance to help you find the perfect solution for your custom needs. Now that you know the "ups and downs" of kneeling systems, it should be an easy decision!